When love and skill come together expect a slice of entertainment with a difference. J’Something brings his passion for food to life at this trendy eatery, offering a fresh twist to traditional cooking. Enjoy some of J’s favourite dishes in a vibrant and relaxing setting. 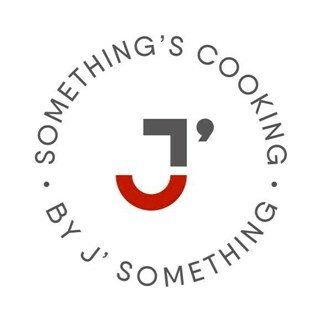 Something's Cooking by J is a home away from home. A restaurant like no other. We serve smiles and delicious food! Wow! L E T H A B O! Food! Atmosphere! Hospitality! One of the best in Pretoria. I enjoyed the food, the view and drinks. Had birthday drinks and starters here. The staff were very helpful, friendly and accommodating in arranging things. Was so dissapointed, the food was really average. Maybe I had set my hopes to high. Money can’t buy these experiences!!! Well done to the team at large!! Best night of my life! Great place, great host, and great food. The service was absolutely amazing. The food was delicious and the atmosphere and vibe was top notch. I would definitely return and recommend to go to. My colleagues and i had an amazing and absolute fun time here!! The food was yum and Lauren, the restaurant manager, was superb. Our waitress was not very accommodating, friendly, she didn't make the effort. A smile, conversation, friendly attitude would have made such a difference. This was a great experience. The food was delicious and the attention to detail regarding the dessert for my husbands birthday was amazing. I will be returning for sure. I had only one complaint on the deep fried mac and cheese as a fellow chef I would recommend that it just goes in the oven for 4-5 minutes more but other than that I had a lovely time and an excellent main course with an unbelievable dessert absolutely fantastic, the host of the day was very friendly and it was really a great time. The food was delicious, didn't expect not to have a side with the Lamb Duet dish. What a awesome place with unique food!!! Great service. Asked specifically if baby chicken in lemon herb was spicy. Emphatic no. Waited half an hour. So spicy couldn’t eat it. Waited another half hour. Chef redid it. It had a pasty sauce and was still very spicy. Couldn’t eAt it. Thank you for your wonderful feedback, looking forward to your return. Best way to end the year , food was great and my family could not stop talking about the steak. definitely coming back again.